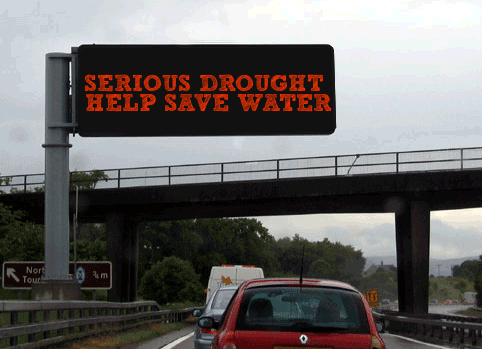 Drought | Sustainable Events Make Sense (Cents)! We all know that California and the world are experiencing a water crisis. And “common sense sustainability” is a key factor in dealing with the drought in California and around the world. I found two videos from the same reporter that showed “then” and “now” for California. In the second, the “now,” I highlighted two organizations/individuals to show how common sense fits in with sustainability to both identify and track the problem and how to take action to lessen it: the University of California Irvine’s Jay Famiglietti and Orange County Water District’s Mike Markus. In December 23, 2009 60 Minutes ran Why California Is Running Dry: Three-Year Drought Is Bringing A Decades-Long Fight Over Water To A Head http://www.cbsnews.com/news/why-california-is-running-dry/ . In the 12.5 minute report from Lesley Stahl, the then Governor Arnold Schwarzenegger outlined the problem and steps that he intended to put into action. The plans include requiring towns and cities across the state to reduce their water use by 20 percent over ten years (sound familiar?). That means less water to drink, to bathe in, and to water the lawn. The reservoir is a key part of the water system that has kept southern California – and one of the most productive agricultural basins in the world – green and arable, until now. Schwarzenegger had made fixing the delta a high priority and got sweeping water legislation passed, including an $11 billion bond for the 2010 ballot that would pay for new dams to increase the state’s ability to store water. The governor also wanted to build a canal that would re-route water around the delta to save the estuary and expedite the flow south. The canal will cost billions more. The original water bond was moved twice. Originally certified to be on the state’s 2010 ballot, it was removed and placed on the 2012 ballot. On July 5, 2012, the state legislature approved a bill to take the measure off the 2012 ballot and put it on the 2014 ballot. Fast forward to November 16, 2014 when 60 Minutes ran Depleting the water: Lesley Stahl’s 14 minute report highlights disturbing new evidence that our planet’s groundwater is being pumped out much faster than it can be replenished http://www.cbsnews.com/news/depleting-the-water/. From this report, which is hauntingly similar and just as dire to the 2009 report, emerge interesting observations and two Orange County, California connections. Now in its fourth year of a record-breaking drought, California experienced its driest year since the state started keeping records more than a hundred years ago. Yet California’s Central Valley is dry land growing acre upon acre of corn, almond trees, pomegranates, tomatoes, grapes. Without groundwater, none of this would be possible. Orange County Connection #1: Jay Famiglietti, an Earth sciences professor at the University of California, Irvine, who is a leading expert on groundwater is also working at the Jet Propulsion Laboratory analyzing the “GRACE” data from NASA. GRACE stands for “gravity recovery and climate experiment.” The two satellites provide insights to our environment – especially the mass of water, where it is located and if it has gained or lost water mass. Famiglietti discussed the aquifers where groundwater is stored — layers of soil and rock, as he showed in a simple graphic, that are saturated with water and can be drilled into. These aquifers near the surface can sometimes be replenished very quickly. If we’re talking about a deeper aquifer, that could take tens or hundreds of years to recharge. That is where the problem arises – we are pulling out more than we are putting back. Famiglietti’s India findings were published in the journal “Nature.” India wasn’t the only red spot on the GRACE map. He noticed a pattern. They are almost exclusively located over the major aquifers of the world. And those are also our biggest food-producing regions. So we’re talking about groundwater depletion in the aquifers that supply irrigation water to grow the world’s food. And some of those aquifer systems are in volatile regions, for instance this one that is shared by Syria, Iraq, Iran and Turkey. Famiglietti, who’s now moved to the jet propulsion lab to work on GRACE, has started traveling around the world, trying to alert governments and academics to the problem. A 2012 report from the director of National Intelligence warned that within 10 years “many countries important to the United States will experience water problems … that will risk instability and state failure…” and cited the possible “use of water as a weapon or to further terrorist objectives.” Water wars may become a reality in our lifetimes. California’s own food-producing regions including its Central Valley, which produces 25 percent of the nation’s food, are only getting dryer and the GRACE data confirms it. Orange County Connection #2: Mike Markus, general manager of the Orange County Water District. They take 96-million gallons a day of treated wastewater from a county sanitation plant — and yes, that includes sewage — and in effect, recycle it. He says in 45 minutes, this sewage water will be drinkable. Through the recycling of sewage water, they’ve been able to arrest that decline in the groundwater. Markus points out that it’s a great model for big cities around the country. But it won’t help areas like the Central Valley, which is sparsely populated and therefore don’t produce enough waste. That leaves them only one choice – drill deeper and withdraw more ground water. About 5 years after the Why California Is Running Dry segment aired, Gov. Jerry Brown’s water bond finally passed, winning more than two “yes” votes for every “no” to fund drought resiliency programs, such as adding water storage, cleaning up polluted groundwater and reusing and recycling water. It also enacted in 2014, for the first time, a law that regulates ground water usage. But it could take 25 years to fully implement stated Stahl in the report. 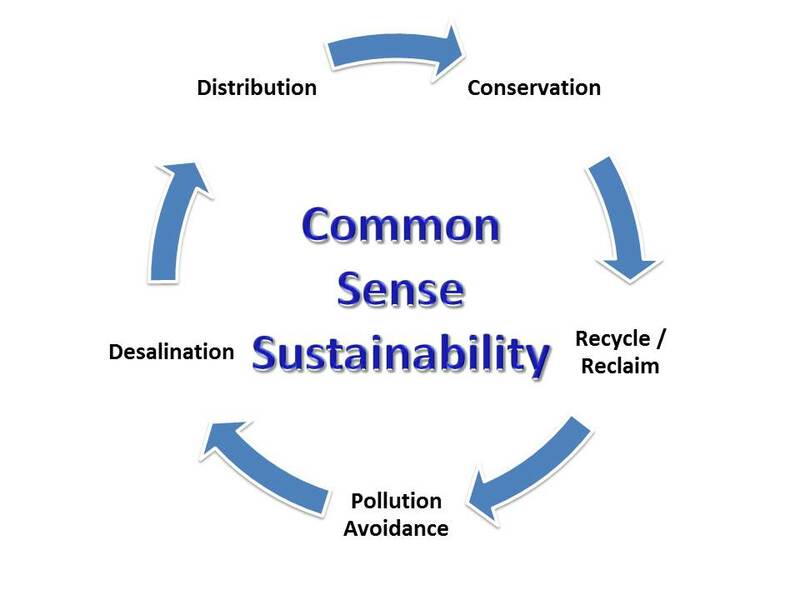 Common sense sustainability – playing off of the 3Rs of reduce, reuse, recycle – the answers to lessen the water crisis can come from many directions. ViridiSTOR’s approach of eliminating paper from tradeshows, conventions, meetings and more is one more step. It is a step that provides immediate quantifiable results using technology, and has profound environmental impact.